I have been trying to get a review unit for a while (after some good networking at Namm one should be coming out my way pretty soon) so I naturally jumped at the chance to do a quick video review and Jamie from Reloop was so kind as to take me through it. The Mixon 4 is a remarkable controller, and with 4 channels, support for Algoriddim DJ on iPad, iPhone or Android device and Serato DJ on PC/Mac, it’s as flexible as it can be. After close inspection, I must confirm that the build quality is there. I will for sure dive deeper into the details and secrets of the Mixon 4 when I get my hands on it, for now, you will have to do with the short walkthrough provided by Jamie. My only gripe with this one is very simple. With all this power, why not make it a hardware mixer? 4 channels scream for DVS support and the possibility to plug in extra sources, but that isn’t there. So if your computer or iDevice dies, so dies your performance. 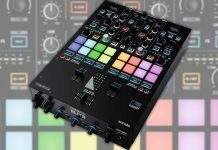 Sure it would up the price, but since the price is sitting currently at USD 700 I say there would be room for a small price increase in return for a hardware mixer. Anyway, check out the quick video overview below, including a small tone play performance! 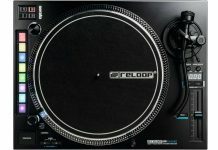 NAMM 2019: Reloop ELite Battle Mixer And RP-8000 MK2 Turntable!